Dr. Gewertz has several vital roles at Cedars-Sinai: Surgeon-in-Chief, Chair of the Department of Surgery, Vice-President for Interventional Services, and Vice-Dean of Academic Affairs. 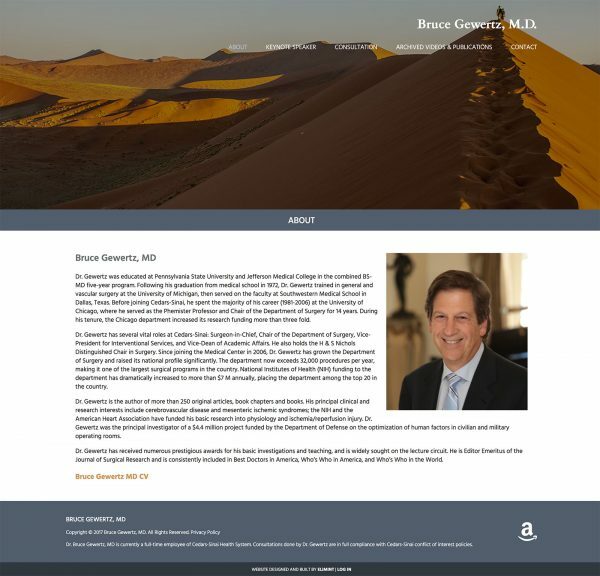 Dr. Gewertz approached Elimint to have a website created to showcase his speaking engagements at over 200 academic medical centers. 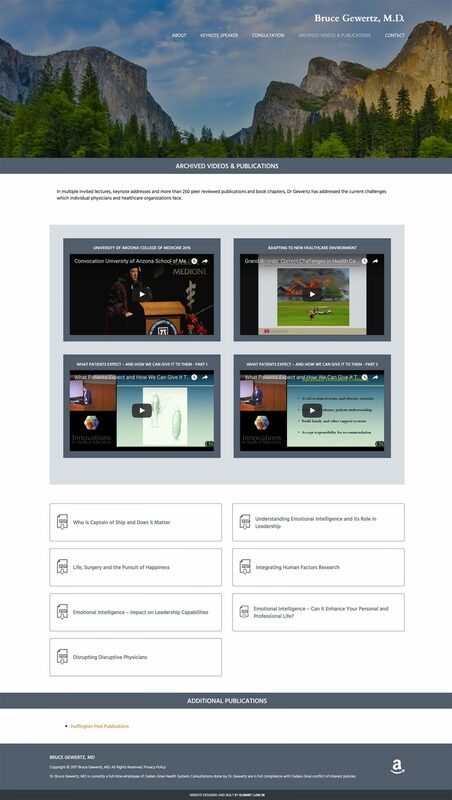 The website also needed to allow for visitors to easily get in touch with Dr. Gewertz and allow visitors to quickly browse archived videos and publications. 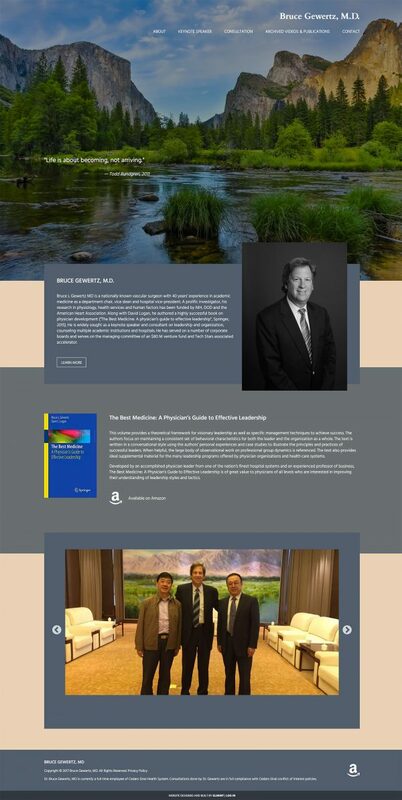 Elimint worked with Dr. Gewertz to create a website that reflects his extensive professional experience in the medical field along with a design tone that reflects a calming and reflective ambiance.